The financial markets have given Macau casino shares a beating this week amid speculation of a renewed crackdown by China on capital outflows. Part of the concerns regarding Macau casino growth and a potential slowdown in total gaming revenue were sparked by a move by local Macau banks to remove cash-back machines from pawnshops and other stores inside Macau casinos. Investor’s seem to be aware that in the past the Chinese government has forced through such measures in an attempt to better control the flow of hard currency out of China. The machines themselves have long been a popular source of cash for mainland Chinese gamblers playing in the former Portuguese enclave. 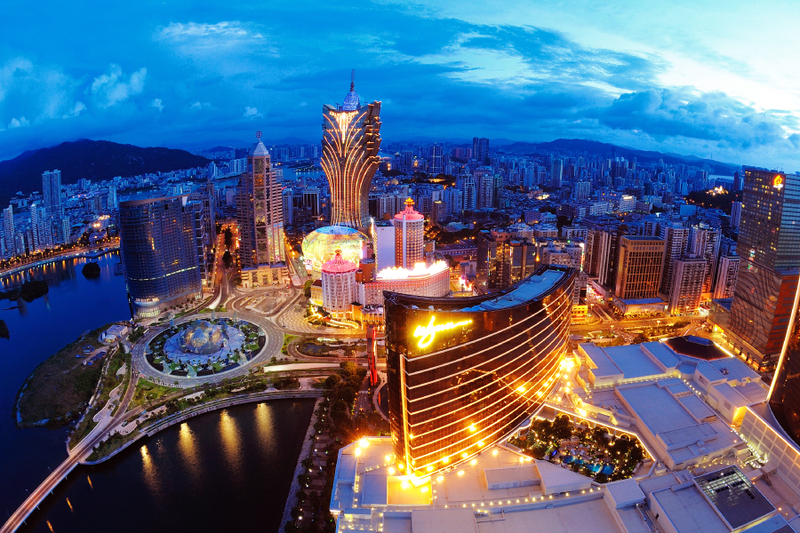 Simon Cheung, a local Goldman Sachs analyst has noted that the move, while spooking investors, seems so far to have limited impact on overall cash flow through Macau casinos. 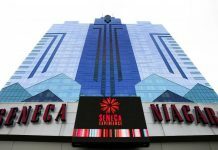 In fact, he added, further declines in Macau casino shares could spell a prime buying opportunity in light of the fact that the gambling mecca has seen a steady rise in total gaming revenue since China eased restrictions on junket players visiting the region last year. DS Kim, an analyst at J.P. Morgan Chase & Co wrote in a report this week that “investors may want to wait-and-see how the situation pans out” before making a move even though the Macau casino operator index slid a precipitous 3% on Wednesday. MGM China Holdings saw the largest single day drop, falling 4.4%. 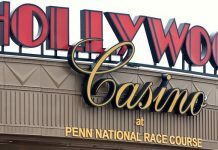 The overall index has declined 6% since figures released earlier in the week showed that total casino revenue for the first quarter of 2018 came in way below analysts bullish estimates. In light of the news, analysts are now forecasting yet another drop for the month of June. US casino shares have also been hit, with MGM Resorts International, who owns and operates the MGM Macau and MGM Cotai, sliding 2.2% and Melco Resorts and Entertainment, owner of the City of Dreams, Macau, down 4.6% on Tuesday alone. The Industrial and Commercial Bank of China (Macau) Ltd. mailed a statement to Bloomberg news saying the banks action in removing the machines was the result of a check of point of sale systems to remove defunct machines, which is standard practice and in line with steps the bank took two years ago. At the same time, and shedding some light on the reality of a possible crackdown on capital outflows, the Macau Monetary Authority issued a statement saying that additional financial services provided to the public, whether in the form of individual loans or by shops, moneychangers, remittance companies or Caixa Economica Postal would constitute a violation of the law. As early as 2015 the Macau regulator had issued a call for banks operating in Macau to enhance their monitoring of merchants and other businesses likely to provide financial services in an effort to crack down on cross-border financial activity and potential money laundering. The move at the time coincided with a heavy handed crackdown by Chinese authorities on whales travelling on junkets to play in Macau amid government concerns that players were using the trips to change wan into other currencies to move offshore. Macau casino stock prices were also effected by ambiguity over the policies of the Chinese central bank amid talks of a trade war with the US as well as the upcoming World Cup. In fact, the World Cup phenomena seems to be adding to market volatility. 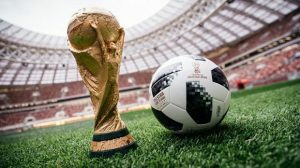 With the launch of the worlds most celebrated football tournament just weeks away, Deutsche Banka AG analyst Carlo Santarelli has suggested that the World Cup could cause junket revenues to decline in June as players focus their betting efforts elsewhere. Analysts at Morgan Stanley also highlighted the effects of the upcoming World Cup as a possible underlying cause of slower revenue growth in June, pushing Macau casino shares lower and further increasing market volatility.